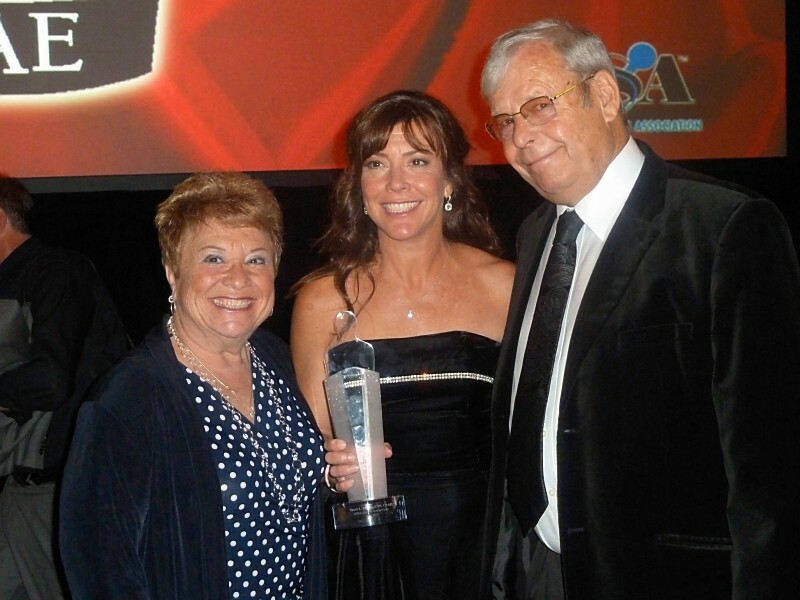 In July of 2012, Terri was inducted into the NSA Speaker Hall of Fame. In February 1977, National Speakers Association (NSA) established the Council of Peers Award for Excellence Speaker Hall of Fame to honor professional speakers who have reached the top echelon of platform excellence. 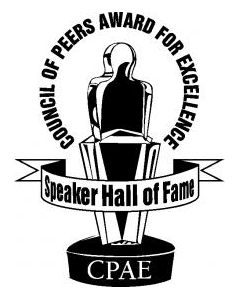 Admission into the CPAE Speaker Hall of Fame is a lifetime award for speaking excellence and professionalism. Inductees are evaluated by their peers through a rigorous and demanding process. Each candidate must excel in five categories: message, presentation/delivery, experience, professionalism and collateral material. The award is not based on celebrity status, number of speeches, amount of income or volunteer involvement in NSA. To date, 232 men and women have been inducted into the CPAE Speaker Hall of Fame. Up to five new inductees are named each year at a gala celebration held in conjunction with the NSA National Convention. There are currently 174 living members of the CPAE Speaker Hall of Fame. Additionally, NSA conferred an honorary CPAE Speaker Hall of Fame® award on Former U.S. President Ronald Reagan in 1981, General Colin L. Powell, USA (Ret.) in 1999, D. John Hammond in 2007, and on Joe Larson in 2012. In August of 1999, Terri received the prestigious CSP (Certified Speaking Professional) designation. About 12% of the 5,000+ speakers who belong to the International Federation of Professional Speakers hold this professional designation. The Certified Speaking Professional designation is the speaking profession’s international measure of professional platform skill. The CSP is conferred throughout the International Federation for Professional Speakers only on those who have earned it by meeting strict criteria. The letters CSP following a speaker’s name indicate a speaking professional with proven experience who understands what is required and knows how to deliver client satisfaction. It will make your job easier! The success of your meeting or conference will be judged largely on the caliber, professionalism and appropriateness of the topic and presenter you select. Choosing a CSP maximizes your opportunity of providing a speaker who delivers a message that will focus, elevate and enhance the mission of your meeting and stick firmly in the memories, attitudes and action plans of your attendees. About 12% of the 5,000+ speakers who belong to the International Federation for Professional Speakers hold this professional designation. A CSP brings a proven track record of continuing speaking experience and expertise. CSP’s are committed to ongoing education, outstanding service and ethical behavior.